María Coor's practice encompasses both environmental and international work. 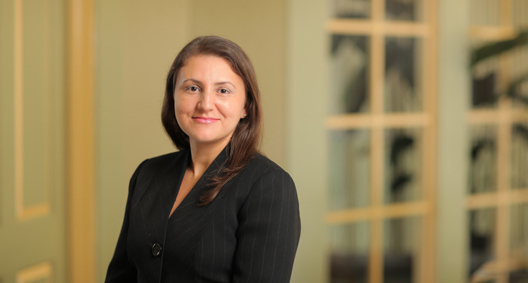 As a member of BakerHostetler's environmental team, María advises clients on compliance and liability associated with various federal environmental statutes in both civil and criminal contexts. She represents clients in litigation and in federal and state administrative environmental law matters, and conducts environmental due diligence for both domestic and international corporate transactions. In addition to her environmental work, María represents clients in investigations involving Foreign Corrupt Practices Act (FCPA) compliance, with a focus on Latin America and Brazil in particular. She has represented corporations making voluntary disclosures to the U.S. Department of Justice (DOJ) and the Securities and Exchange Commission (SEC), and she advises corporations and individuals on FCPA compliance, risk exposure and remedial measures. María's academic background in environmental science and international environmental and resource policy allows her to understand and analyze legal and environmental issues from a multidisciplinary standpoint. She is also a native Spanish speaker and is fluent in Portuguese, enabling her to work effectively on a range of international matters. Represents a Fortune 100 company in connection with a criminal investigation of alleged environmental violations, among others. Is a core member of the strategy team supervising and conducting a multistate internal investigation. Performed environmental due diligence for a Fortune 500 company in connection with the acquisition of a major division of a Fortune 50 chemical corporation. Drafted and revised the environmental provisions of the purchase and sale agreement, worked with local counsel in Brazil and managed the environmental consultants conducting due diligence on four continents. Represented a Fortune 100 company in connection with numerous Superfund sites, including one site in which the company was the potential responsible party (PRP) lead, as well as several sites in which the company was the de minimis PRP. Negotiated with other PRPs to develop cost share allocations and advised the client on remediation steps. Collaborated with remediation consultants, state agencies and the Environmental Protection Agency (EPA) to meet remediation goals and achieve cost-effective compliance. Conducted an internal audit of a company's environmental records following EPA issuance of SSO for several products in connection to alleged Federal Insecticide, Fungicide and Rodenticide Act violations. Negotiated with the EPA regarding terms of product return, advised the company on compliance issues, and drafted and revised company press releases. Drafted a health and safety policy addressing Occupational Safety and Health Act lead exposure limitations and requirements for contractors and subcontractors involved in a construction project at a lead oxide manufacturing facility. Conducted an internal investigation regarding FCPA compliance, including conducting witness interviews in Portuguese, training and managing document review teams in Brazil and the U.S., and performing senior-level review of critical documents in Portuguese. Assisted with the company's voluntary disclosures to the DOJ and SEC, and advised the client on FCPA compliance. Conducted an internal investigation regarding Federal Acquisition Regulation compliance. Advising a Brazilian company regarding FCPA compliance and corporate and individual liability risk exposure. DfE Under Fire: Do Fragrances Pass the Sniff Test? Represented a class of more than 400 individuals in a class action involving Fair Labor Standards Act violations. Drafted a motion for class certification. Conducted client and witness interviews and drafted notification and opt-out documents in Spanish. Obtained a judicially approved favorable settlement. Represented a client in a Family and Medical Leave Act wrongful termination dispute. Represented a client in a child support case. Obtained a revised child support order and successfully defeated a motion to temporarily suspend payments.